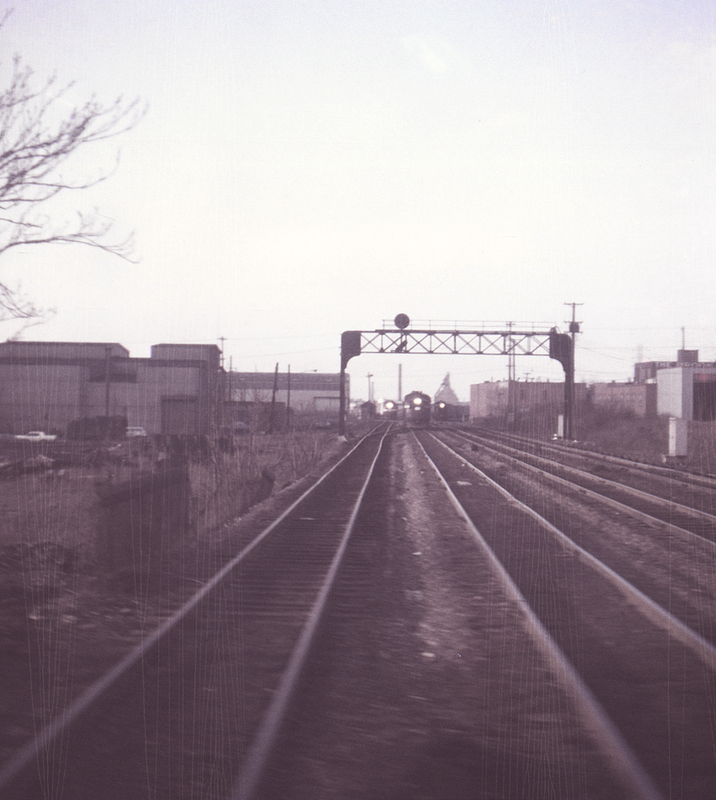 Erie Crossing was the location where the Erie and Pennsylvania mainlines into Cleveland crossed at grade. This slide was grabbed on the fly from the Erie's commuter run to Youngstown (nos. 28 and 29) and had pretty much turned completely magenta by the time it was scanned. The vertical scratches on the film are film defects rather than camera scratches (which would have been horizonal).